In a previous blog post I asked the question "Why teach patriotic music?" There are several reasons and I hope you'll take a moment to check out that article. In this post I'm going to talk about my song and activity choices for my Kindergarten through 6th grade students. I must admit that when I first started teaching I didn't focus much on patriotic music. For the first two or three years I really just did a little something with the national anthem and that was it. I was looking to incorporate music that really connected with students and really got them excited about what we were doing in class. Silly me! Patriotic music does just that! I decided that I would come up with just a couple of songs that each grade level would learn. By the time my students left me to move on to middle school or high school they would have a solid repertoire of patriotic music under their belts. Then I added a few activities with patriotic music including a large unit on the "Star-Spangled Banner" for third graders. Every August, our song of the month is the "Star-Spangled Banner". All students review the three rules of etiquette when listening to or performing our national anthem. 1. Stand up (and take your hat off if you are wearing one). 2. Hand on your heart. 3. Eyes on the flag. This is a tough song for my youngest learners, so we usually just use this time to practice listening and being respectful. 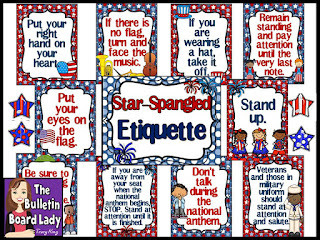 I often put up a bulletin board in the main hallway or near the flag in my room that reminds students about national anthem etiquette. This one is my favorite. I've used it a couple of times. So now, let's break this down by grade level. Here are the songs and activities I do K-6. We talk about march and lullaby in Kindergarten so this is one of our favorite marches. We also use it for steady beat practice with rhythm sticks. We don't really talk about the history of the piece. In Kindergarten we use several Sousa marches too. We keep the steady beat, freeze dance (well...freeze march) and sometimes write/draw about what we hear. Since we only talk about a few instruments in Kindergarten this is a great addition to our listening repertoire. We identify drums, trumpet and flute easily! We can read most of these words by the end of first! Hurray! We don't really do anything new with "You're a Grand Old Flag" in first grade. With Yankee Doodle we learn a very simple stick passing routine. We sit in a circle and use the pattern "tap tap cross pass". Tap on the floor. Tap sticks together. Pass to the right. After we've done this activity in class, I can add it as a workstation. We learn the words to this song and talk about them. "land where my fathers died" can be a bit confusing. Some years we create a patriotic song quilt with these lyrics. I'll talk more about that when in a bit. Kids LOVE this song! We listen to a couple of different performances, red and talk about the lyrics and sometimes create drawings/sentence writing to show our favorite things about America while listening to it. We love this song. It is a part of our "second grade songs" PowerPoint. This file contains the lyrics to songs that we sing often. I can leave this for a sub to use because it is essentially click and go. This song is by the talented folks at Music K-8 Magazine. It is mostly the Pledge of Allegiance, but seriously cool. The kids learn this quickly. Some years we add a plastic plate routine with it. I have a book with the lyrics of this song that stays in my student bookshelf. Students can read/sing through it when they are at this station during centers days. I take it out early in the year and we read/sing through it as a class. Some years we will create a patriotic song quilt with it. To make the quilt, I give them squares of paper and assign them a line in the song. Some kids draw "Oh, beautiful for spacious skies" while others draw "for amber waves of grain" and so on. We display them on the wall so that they look like blocks from a quilt. Such a great display! Some years I will print out squares with the lyrics, other years I just give them the squares. I think 8 x 8 works best so I just cut a couple of inches of a standard letter sized sheet. This works with "My Country 'Tis of Thee" and several other patriotic songs. LOVE the finished display. If I can, I try to have it up for the first parent-teacher conferences. We really just review this song and all of the other songs since Kindergarten. I take about 4 weeks during September/October to focus on the "Star-Spangled Banner" with third graders. We learn about the history, decipher the lyrics, work on memorizing it and more. After experimenting with this unit for a few years I came up with some workstations that I love! This set is available in my store and contains ten different workstations. HERE are several blog posts about Star Spangled Banner Workstations that will let you take a peek at them in action. I like these workstations because there's a little bit of everything in them. 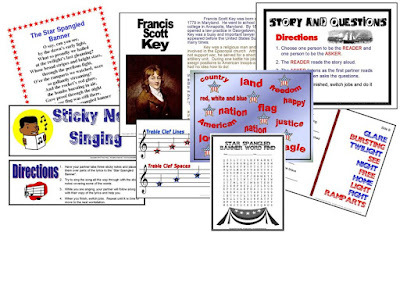 Students learn about Francis Scott Key, work with vocabulary from the song, review the history of it, work on memorizing the lyrics, singing and more. Good stuff. Students are on task and really walk away with a great deal of knowledge. I used to give a 10 question quiz at the end of this unit. Instead of doing that now I use exit tickets. We do one at the end of each class period that we are studying the "Star-Spangled Banner" and sometimes randomly throughout the rest of the year. I use THESE with 3rd graders but honestly they would work for 3rd through 6th with ease. Fourth graders focus a great deal on Missouri history so I try and add a few folk songs from the area, we touch on musicians from Missouri and listen to the "Missouri Waltz". I'm always looking for new resources for this, so if you are a Missourian please let me know what you do! I feel like I barely touch this topic. Last year we did a huge unit on our national anthem. This year I want to make sure they remember some of it! In fourth grade we review the story, etiquette and vocabulary from our study of the "Star-Spangled Banner" in third grade and then we do Star Spangled Evaluations. This activity takes one 50-minute class period and is a huge hit with the students. I just blogged about this activity HERE. Take a look and download the freebie to use with your class. All year. Workin' the fifty nifty so that students leave with this song (and the alphabetical presentation of the states) memorized. You can watch a YouTube video of this student favorite HERE. Get a real copy from Hal Leonard. My 5th and 6th graders performing "Rap of the Presidents" at a patriotic concert. It makes you smile, right? 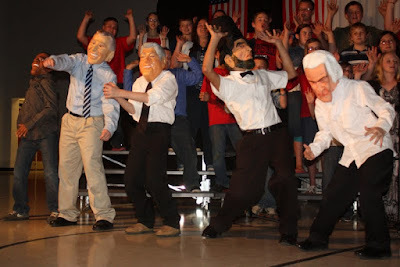 "Rap of the States" and sometimes "Rap of the Presidents"
Depending on the groups and the year I use these two gems from Teresa Jennings with 5th and 6th graders. They are a little long, so unless we are using them for a concert performance we don't memorize them. A large portion of the year is spent learning folk songs from the time of the westward expansion in America. Songs include "Erie Canal", "John Henry", "Home on the Range" and cowboy and pioneer songs. We sing the Music K-8 versions, watch videos of their performances by a variety of folk singers and musicians and complete a favorite project of mine, the rewriting of "Home on the Range". with more storage than I can fill up! and data so I can text you "what's up?" and a camera for my selfie close-up! The music of the Army, Navy, Air Force, Marines and Coast Guard are studied in 6th grade. We use some patriotic and armed forces listening glyphs. The big kids don't get to color as much as they would like and really enjoy the listening glyphs. It is also a chance for them to get really familiar with these pieces because we listen to them as we work. You can get the listening glyphs HERE. I blogged a bit about my Music of the Armed Forces activities in THIS blog post. I also like to use one of the five armed forces bulletin board sets I have when I display the listening glyphs. I love to do this near Veteran's Day if I can. Throughout the year, sixth graders learn about music of the American Civil War, slave songs and traditional African American folk songs. In February we study American Jazz Musicians and do a short research assignment on them. You can take a look at that HERE. I hope that you've enjoyed the red, white and blue tour through my school year. I have many patriotic resources on my Patriotic Resources Pinterest board. Follow it to get new ideas. I am so thankful that I am teaching in the digital age. As a rural teacher, my students don't have an opportunity to see a variety of music performances. YouTube has opened a whole new world of instruction. If we are learning about bassoons, we can watch a video about bassoons. If we read about a barbershop quartet, we can pull up a video and hear one in minutes. Looking for an authentic folk song from New Zealand? Hello, Internet. One of my favorite patriotic activities utilizes the awesomeness of YouTube and encourages students to evaluate and critique. I call it Star-Spangled Banner Evaluations. I give students a sheet to fill out while listening or watching performances of our national anthem. The worksheets ask students to write down the name of the performer, the genre, if it is acapella or accompanied and then rate it using a 5-star system. There is also a place for a few notes that will help students write about the performance later. At the end of class (I usually leave about 10 minutes, maybe less. ), I ask students to write a paragraph (4-6 sentences) about their favorite one. I use a wide variety of examples. They hear soloists, groups, choirs, instrumental versions, classics, children and whatever else I can find. I usually cue up these performances before they get to class, but sometimes we'll vote on the ones we watch. 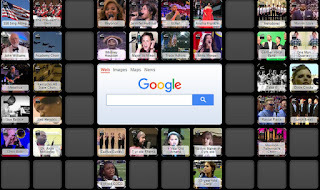 I have most of my favorites saved on my national anthem Symbaloo board. Check out this page to see all of the performances that I have bookmarked. You can save this page too and use it in your classroom. This activity leads to great conversations about vocal quality, how to classify genre, how to name groups (quartet, sextet, etc..), stage presence and more. For some students this is an introduction the term "acapella". This is also a lot of fun, so students often don't realize what higher order thinking skills they are using. Love that! 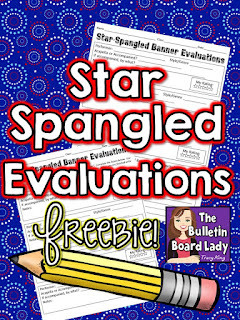 Would you like to try out the Star Spangled Evaluations? You can! I've uploaded them to my Teachers Pay Teachers Store as a free download. If you like them, please leave a little feedback. I love 4 star ratings and your comments help me create more things that you'll love. 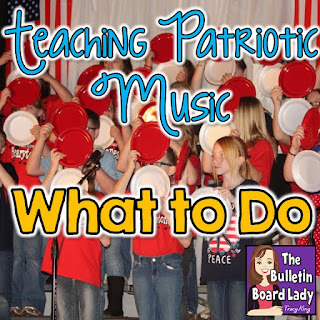 Do you teach patriotic music in your classroom? Did you know that not everyone does? Is it written into your curriculum? Today we will talk about one of my favorite topics to teach. Let’s dive into patriotic music. First, we have to decide what patriotic music is. When I refer to patriotic music, I mean not only the traditional songs like the national anthem, “America, the Beautiful” and “My Country ‘Tis of Thee” but songs about our history and geography as well as songs of the armed forces, civil war songs, slave songs, some contemporary songs, songs about civil rights and more. 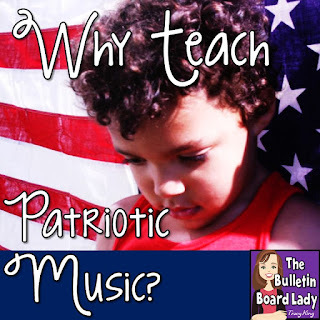 Why teach patriotic music? It helps students learn about their heritage as citizens of America. I’m not sure about you, but the stories of my family only went back about twenty or thirty years before I was born. My parents told stories about their parents and grandparents, but my “history” didn’t go much beyond that. Why? It’s what they knew. What they were taught. What was important to them. Our heritage as Americans is rich in lessons for us to learn, people to celebrate and stories and songs to repeat. Fortunately, our stories go back much farther than twenty years! Music of America is music by Americans. It tells the stories of the birth of our nation, its struggles, its triumphs and most importantly its values. It is important to teach Americans about America. As a music teacher, I do this in several ways, but perhaps the most important way is through patriotic songs. How did early American pioneers live? There’s a song for that. What do our service men and women in the armed forces do? There’s a song for that. What tragedies have we overcome as a country? There’s a song for that. What are the capitals of each state? There’s a song for that. How do we celebrate our soldiers returning from war? There’s a song for that. What are some of our most beautiful landmarks? There’s a song for that. How do we learn to live together in a country as diverse as it is proud? There’s a song for that. What does our mourning look like? There’s a song for that. How will we face the future? There’s a song for that! Patriotic music helps students connect with their American heritage. I teach patriotic music, because patriotic music teaches the history of America. Why teach patriotic music? Patriotic music creates a sense of community. This kind of patriotism nurtures a sense of togetherness and common purpose. Standing together to sing a song that has been sung for hundreds of years can be very moving. To lift up our voices using the words that so many brave men and women have used before is powerful. Kids get that! It helps them develop pride in their country and often a sense of gratitude for the men and women who have bravely led the way in building our country. I couldn’t agree more. I teach patriotic music because patriotic music reflects the values of our country and strengthens the unification of Americans. It’s more than just character education. It is citizen education. 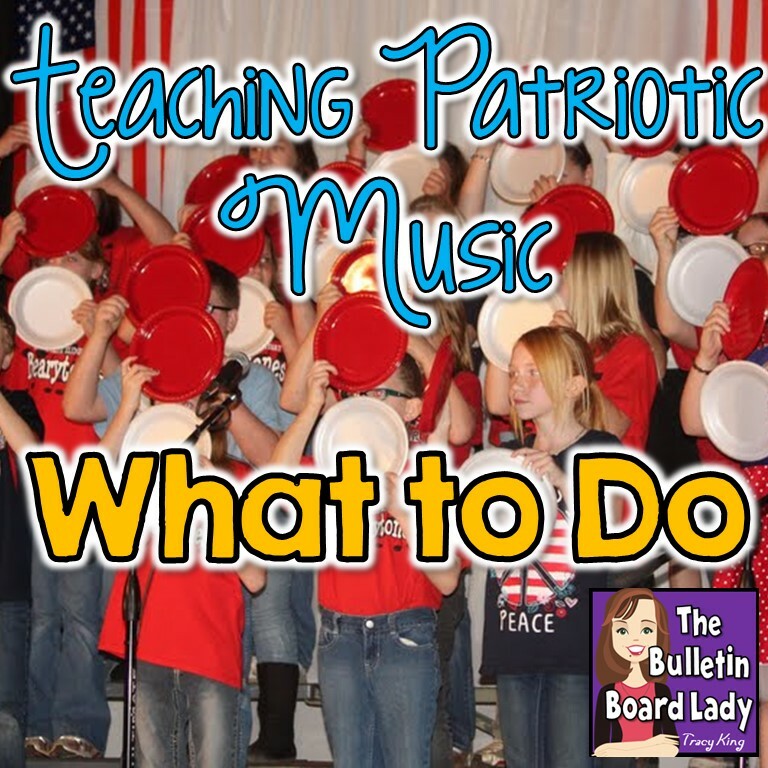 Why teach patriotic music? No one else is. No, seriously. As music educators, we may answer the following questions differently than the general public. Think about the average parent and their response to these questions. Have you taught your child the national anthem or how to respond when it is performed? Does your child know that tune as the theme to Barney or as “Yankee Doodle”? What kind of answers would you expect to hear? Students are not learning traditional folk songs, nursery rhymes or patriotic music at home. The custom of parents teaching these songs to their children is slowly fading from our culture. Ask them. Heck, ask your students. They hear the national anthem before ballgames and (in my neck of the woods) before the races, but they don’t know its story. Often they don’t know how to behave when it is performed. I teach patriotic music because I think it is important and my students aren’t learning it anywhere else. 1. Teach your child the story of the national anthem. Teach them the words. (Explain the tough ones.) Teach them to stand, with their hand on their heart, listening quietly or singing robustly when they hear it. 2. Sing patriotic songs with them. Even little ones can sing and move to “You’re a Grand Old Flag”. 3. Play patriotic music while driving in the car. There are plenty of fabulous CDs or collections to download. 4. Encourage your children to listen to and learn about great American composers and musicians. 5. Model an attitude of thankfulness for the events and values that patriotic music exalts. Talk about how to show gratitude for the freedoms we enjoy as Americans. Today I'm linking up with Elizabeth Caldwell from Organized Chaos for Fermata Fridays. This week I've decided to repost an oldie but a goodie! This post (from February) celebrates the music of John Williams. Enjoy! John Williams is the composer of the month! I love sharing the music of John Williams with my students as much as they love learning about it. A big Star Wars fan, my students are always impressed with how much I know about the Star Wars world. Don’t worry. Although I know a Wookie from a Bantha, I am light years away from being an expert. I do however, know a thing or two about the composer of the music for these movies. I hope you’ll enjoy learning about a few resources and activities that I use when studying the music of John Williams. When we do this activity, I’ll call my steady beat swords “steady beat light sabers”. I’m the coolest teacher in school for about ten minutes! 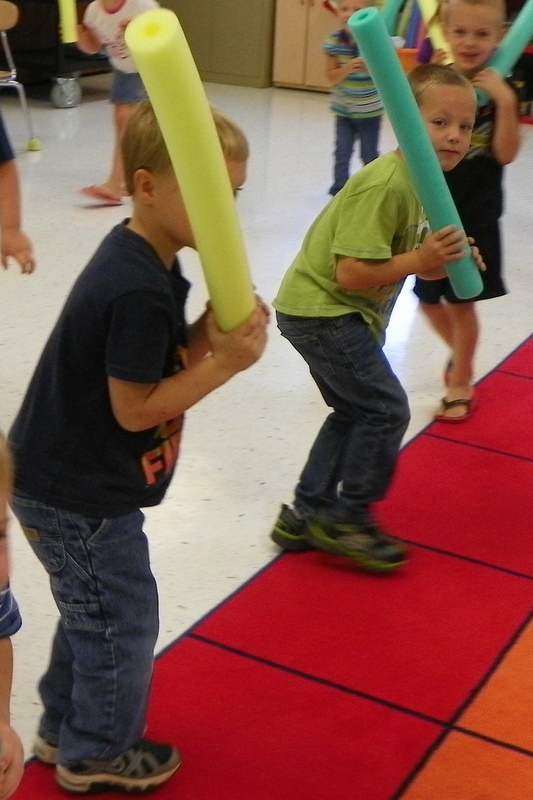 For this activity we practice keeping the beat with a partner and then use our steady beat swords (a.k.a. pool noodles with duct tape make to look like swords). I use “Imperial March” by John Williams. I’ve blogged about this activity before. You can read it HERE. These glyphs were designed specifically for the music of John Williams. I use them with 1st and 2nd grades (guiding them through the listening activity) and with 3rd through 6th grades. My older kids often miss the opportunity to color so they enjoy being able to complete a listening journal in this manner. Check out some of their great work! You can get this set of listening glyphs HERE. Well, of course there’s a bulletin board! I use this John Williams Composer of the Month set to display in my classroom. Actually, this time it was in the main hallway. Around Christmas I found some great Star Wars wrapping paper that wasn’t too Christmasy and I used it to add some interest to the bulletin board. The rest of the board was just print and post. One of my classes completed the writing prompt that comes in this set with a substitute. Now what are you waiting for? It's time to celebrate the music of John Williams!